Townhome Villa on the Beach..fish off the balcony! 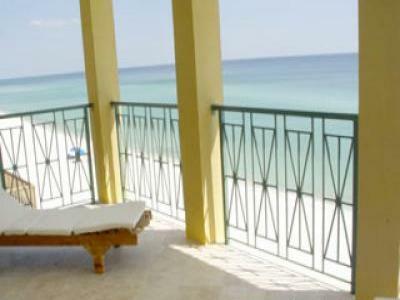 looks out over your own private pool/spa and the Gulf of Mexico. Size: 6' X 8'. The neighborhood also features a community pool. 52" Color TV -3 Covered Gulf front balconies. fee 3%. AGE REQUIREMENT 25 min. $25 a day to heat pool.